In this post, we test most of the major Revit rendering tools. This is not an in-depth review but rather a quick glance at the available options. In this test, we are mostly focused on the out-of-the-box capabilities. Most of the rendering tools can produce mind-blowing renderings if you are willing to spend countless hours. But here, we wanted to know what happened if you spent about 10 minutes with a rendering plugin while using mostly native Revit materials. Here is a blind test of all the rendering tools. Can you match the number with the plug-in? Horrible sky that you will need to Photoshop out. Some elements could be sharper, like the vertical elements on the right side. Dealing with the cloud rendering service can be a hassle. 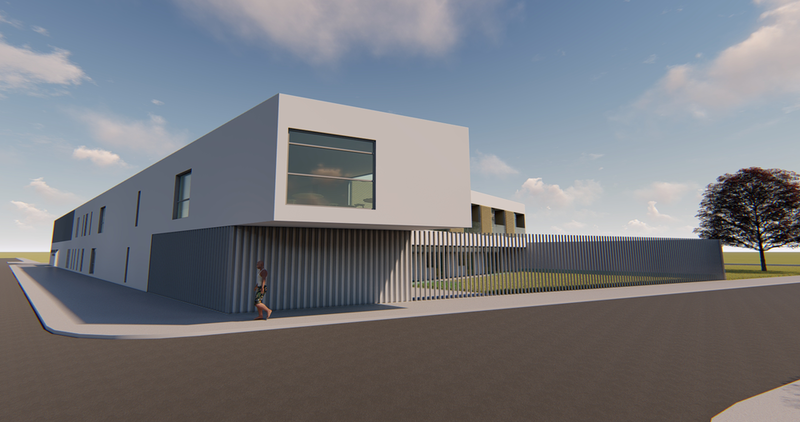 The Autodesk Cloud Rendering service lets you create renderings on Autodesk servers while you can keep working on your Revit file. The cloud rendering tool is usually a little better than the native renderings (as you can see in the next image). Included in Revit, no need for additional software. Compared to the Cloud rendering, the Revit native rendering seems a little more dull. Creating a nice image with this tool usually requires a lot post-processing in Photoshop. Absolutely gorgeous sky, without any need for Photoshop. Great looking entourage automatically replaced from Revit families. Great global illumination and exposure that gives the shaded side just enough light. Intuitive user interface and settings control. The rendering above took only a few minutes to create and adjust. The settings in Enscape are very easy to use and to test. The global illumination and auto-exposure tools help you create a decent looking view within very short period of time. We made a full blog post about how great Enscape is last year: click here to read it. It is also one of the best choice if you want to create a virtual reality experience. Precise rendering tool with a lot of advanced settings and customization. Default textures are ugly. Creating custom textures can be long and complicated. You need Photoshop to create a decent sky with clouds. Default Revit entourage doesn’t look good. Vray is an old-school raytracing plugin that is beloved by many. Let’s be honest: this rendering is not very impressive. The image above doesn’t represent what some people are able to achieve with Vray. If you are in a hurry, Vray is not a good choice. If you have a lot of time on your hand to create custom textures and post-process the image, it might be an interesting choice. Amazing objects, trees and people library. Fun and exciting to use. Good looking sky, grass and environment without Photoshop. User interface can be a little confusing. Default textures are not impressive. I love Lumion. The huge library of objects, characters, cars is useful. It is the best tool to create animations. But this rendering is a little lacking. The default textures don’t translate very well. The entourage doesn’t feel as real as in Enscape. I had incredible results with Lumion, but they usually require a little more time to set up, adjust the textures and to create the perfect camera settings. A full review of Lumion is coming in the next few months. Twinmotion is the spiritual brother to Lumion. They have a similar slick, video-game like user interface. They both have a great library of objects, people and trees. They both require a similar amount of time to create a good rendering. Lumion might have a slight edge, but Twinmotion remains an interesting choice. The default rendering test produce some interesting textures, but the shadows and reflections are a little lacking. Like with Lumion, you need to spend more time to adjust the camera settings and textures to get a realistic look. The results of this test are quite conclusive: Enscape is the best tool to create a great rendering when time is limited. Some of the other tools discussed above are great, but they require more time to properly set up the textures and camera settings. Autodesk cloud rendering service is another decent option if you are time limited. Our brand new DESIGN package has just been released! It will help you create beautiful views and renderings using Revit. Download a sample chapter and the table of content by using the link below.